The Meaning of Harvest to all at Heligan…. The talents of the growers of old are admired, as if their passions and skills were a quaint throwback to a period now long gone. The advent of refrigeration, fast international trade by plane and boat, has all but ended seasonality for our favourite fruit and vegetables. The development of supermarkets and internet delivery which have made effortless the satisfying of all our desires subject only to whether we have the means to afford them. 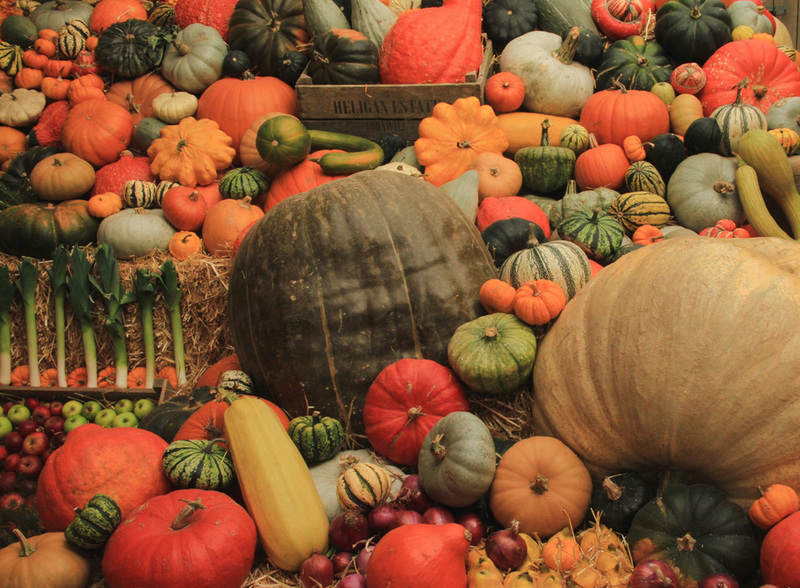 We now live in an age where the words “Harvest Festival” have come to mean nothing more than a curious date in the religious calendar and a weekend to celebrate giant pumpkins and squashes organised for a photo opportunity. Few people pause to remind themselves of the true import of this time of year. A time of reckoning on the productivity of the land, a time to rejoice at the prospect of plenty or sit anxious at the chance of hardship and hunger. I too was a mindless celebrant, knowing nothing, respecting tradition for tradition’s sake, until we began to restoration of The Lost Gardens of Heligan and took a close look at the way of life of those working men and women who’d made these gardens great. Now it was my turn to realise that we had lost a world of skills and understanding that remains as relevant today as it was a hundred years ago. It is important that “Harvest” is understood for what it is. A heartfelt roar of relief and gratitude…a celebration of a year survived and set up to prosper. 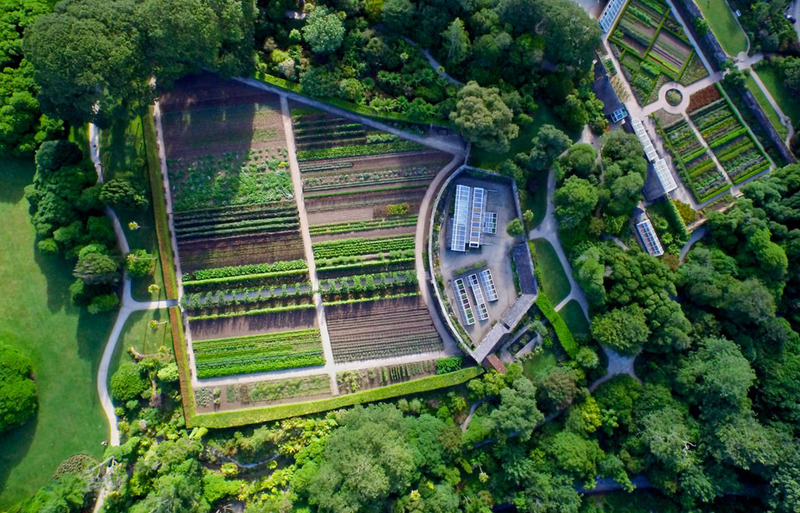 Heligan’s harvest is both a celebration and a reminder that the past remains important where it informs the future and as we enjoy our 21st Century experience of the gardens don’t mistake what you see for heritage, it is the future in waiting. We are the keepers of a tradition that will once again come to be seen for what it is. The working of the land to provide the widest possible variety locally, where crops are chosen for their sympathy to the local soil and hence, a statement of commitment to the flavours and choices that made each region of this "green and pleasant land", so special. The pinnacle of the productive year, harvest. The moment that defines the start of Autumn harvest, is when the lush green leaves of the Pumpkin Bed start to die back and reveal the jewel like fruits that lie below. All shapes, colours and sizes, they never fail to bring out a childish wonder in all the gardeners and visitors alike. They are lovingly washed and dried in the glasshouses before being carefully transported, in trailers lined with straw, to their place of centre stage in the main harvest display. 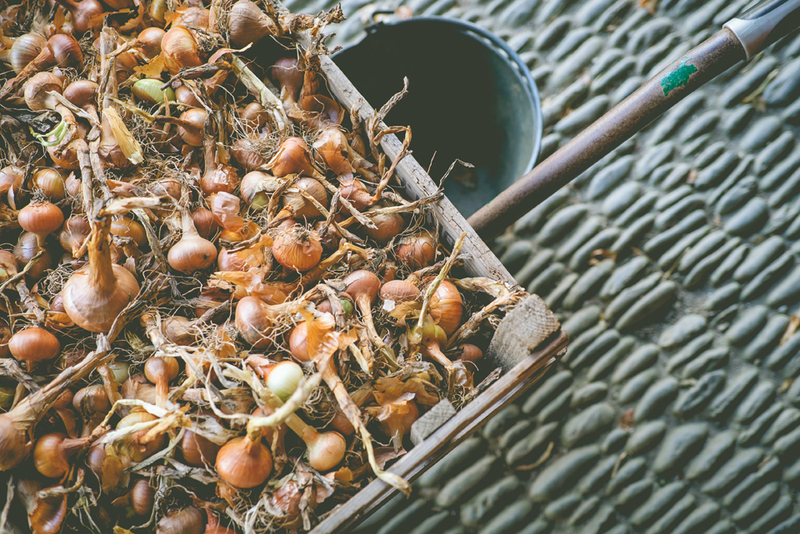 The layers of golden, papery onions drying indoors are another staple of harvest time. The time-honoured practice of stringing the onions is passed on from one gardener to another to keep the traditional skill alive. Thoughts must also turn to the Apple Store, a thorough clean and tidy is required before the shelves are carefully lined with sheets of fresh brown paper. Once harvested the crisp, scented apples are lined out in neat rows and the delicate pears are wrapped in tissue paper for extra care. Despite the trials and tribulations of this particular season… snow, the ‘beast from the east’ and a summer of drought, our gardeners have worked with patience and determination in the face of a difficult gardening year. Now is a time of generosity and abundance, it is a gathering together of the year’s labour and a reward for all their hard work, the fruits of our labour. Think of harvest at Heligan and probably the first thing that comes to mind might be produce from the Kitchen Garden: baskets of rosy apples, strings of onions and rows of pumpkins. Venture beyond the Garden walls and harvest becomes something rather different. The Gardens at Heligan comprise of around 40 acres but the wider Estate is four times larger with 160 acres of grassland and woodland. As you might imagine, this increase in scale from garden to Estate is reflected in the harvest. For instance, one of the most important crops for the Estate are trees, from coppiced chestnut poles and wood for turning into bowls to bags of Heligan charcoal and firewood for the Heligan Kitchen’s wood-burner. 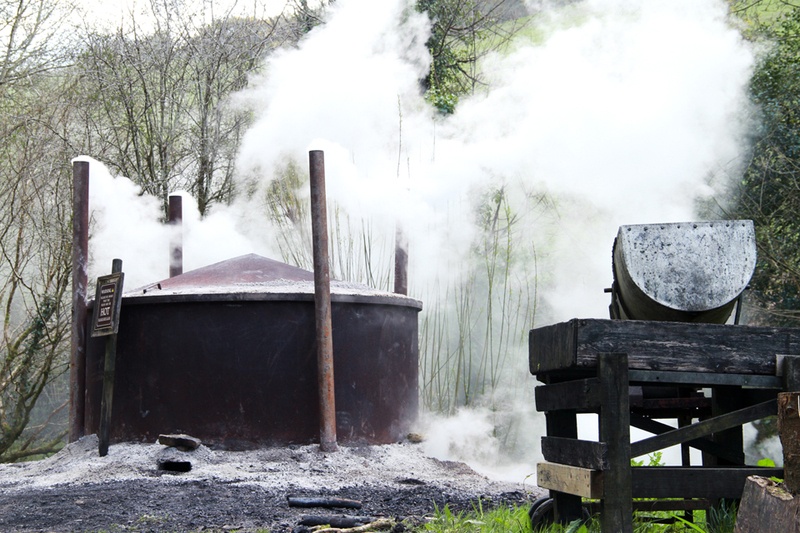 Charcoal is a hugely popular element of the Estate’s harvest, with hundreds of bags a year being produced entirely on site, using a process as ancient as the hills. Even the means of harvesting is on a different scale on the estate as our beautiful Shire horse, Issy, is used for logging, dragging large trunks out of inaccessible parts of our woodland. Some 10 acres of our grassland are used specifically to produce hay, with around 37 large bales this year to help provide our animals with feed for the winter. As well as our traditional meadows, the grassland is harvested year-round by our rare-breed sheep and cattle on a conservation-grazing rotation, with the aim of supporting as wide a bio-diversity on the Estate as possible. So, though the land at Heligan may offer an alternative harvest in terms of style and scale to that of the Kitchen Garden, it is a harvest worthy of celebration too! Harvest is a time to reflect on the year gone by, the battles, the challenges, the achievements and moments of pride. Working with livestock is never easy and does not always go according to plan, but it does always offer rewards you can’t get from anything else. The summer saw a real test for the team and animals. The extreme heat has meant our Harvest on the Farm has been a little different than that of previous years. The Heligan hay meadows were sadly punished due to the lack of rain and abundance of sunshine and have harvested far less bales of hay, although it is still of great quality and we are grateful it will feed our sheep and cattle this Winter. Thankfully the weather does not dictate the harvest of wool we gather from our sheep, in fact it only improves it, as we shear our sheep more regularly to keep them cooler through the summer months, sending that wool off to be made into garden twine. Our ethos to only keep livestock that is native to Britain means our animals live naturally and happily in our environment, without too much intervention. All of our animals have a job at Heligan and their natural behaviours are celebrated and utilised to enable traditional farming techniques, such as conservation grazing and bramble clearing of our woodland. 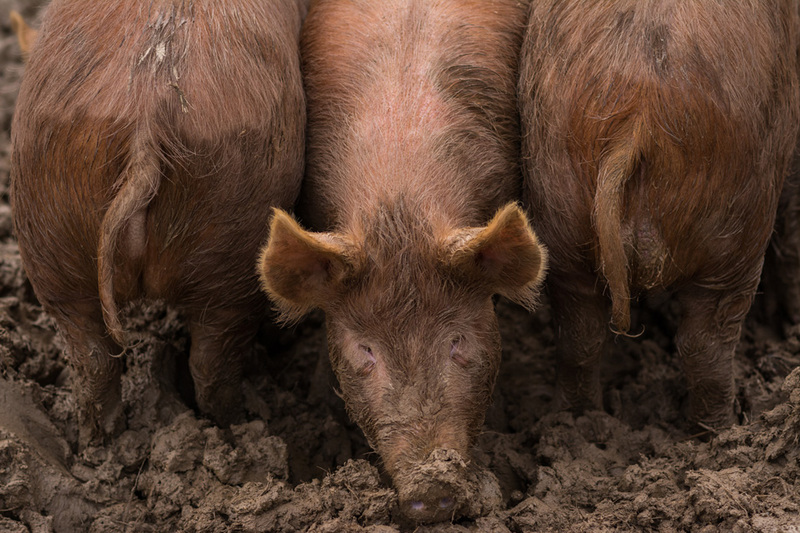 Our development of breeding programmes of rare pigs and sheep has enabled us to be able to give our visitors 100% traceability of the meat that is consumed in our kitchen, which we believe to be important for everyone. Our Native breeds offer a variety of tastes and depth of flavour that our kitchen just love and we hope will be enjoyed this Harvest by the meat eaters amongst us. We are proud of the way our animals are bred, cared for and respected throughout their lives at Heligan. Our priority is to breed enough animals to manage our estate and not to fill the kitchen all year round. Bountiful one pot cooking, fragrant smells from preserving and pickling, freshly baked breads, wholesome foods, a plethora of heritage fruits and vegetables, this is what harvest means to us in the Heligan Kitchen. It’s a wonderful time of the year for us to do justice to the hard work of the Gardeners and wider Estate Team over the past year and create generous dishes that are traditional, slightly playful and of course tasty! A great way for us to show all the amazing produce our 200 acre Estate has on offer is our very own Feast Nights that we host over the course of year. It is a great opportunity for us in the kitchen to cook using rare breeds (the kitchen favourite is the Ruby Red Beef) and the more unusual vegetables that we have here at Heligan. As we head into the Kitchen Garden around harvest time, you get a sense of what it was like for the generations gone and how they would of felt harvesting the fruits of their labour ready for their own kitchen table, the autumnal vegetables and falling autumn leaves, the slight chill in the air but knowing a rewarding plate of hot food awaits you makes it all the better. 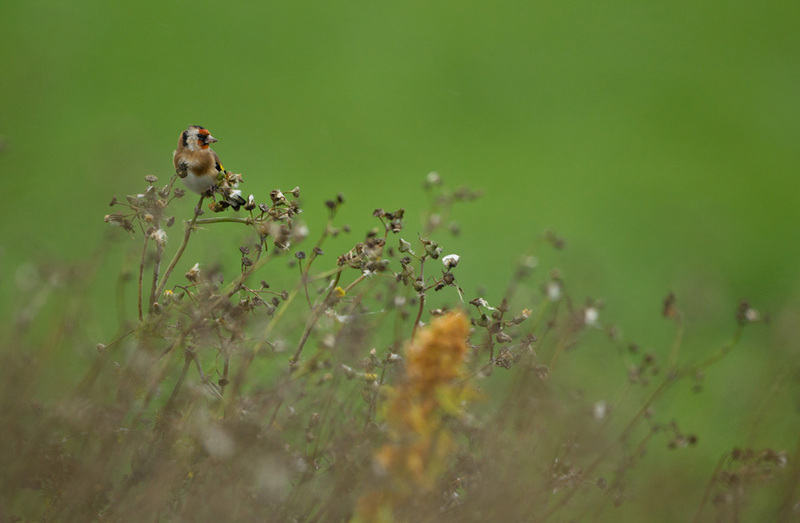 What Harvest means to our Wildlife…. When we think of harvest and what this means to us our first thoughts tend to go to the host of ripening vegetables and fruit that are harvested by the productive team. Humans however, aren’t the only busy bodies in autumn. The harvesting period is nature’s time of plenty and you will often find the birds and mammals foraging around the hedgerows and trees to find those juicy berries, nuts and seeds. As the sun gets lower in the sky and the days become cooler, many species of wildlife will take full advantage of the wild harvest and begin to make their preparations for winter migrations and hibernation. Storing up on fat reserves and gathering materials to make cosy nests will determine whether a lot of species survive the winter period. Bank voles and wood mice are among the busy gatherers during this time and if you’re keen-eyed you may spot a bank vole in the estate hedgerows filling its cheeks with as much food as possible. Blackbirds and thrushes are particularly keen on blackberries and hawthorn whilst goldfinch can be spotted eating the seeds from teasels and cornfield annual flowers. Our work on the Estate and in the Gardens has a direct impact on the wildlife harvest. With our sensitive approach to land management we are able to strike a balance in providing food, charcoal and firewood for our tearooms whilst also providing enough food and nesting material for wildlife to survive and thrive. Harvest is a time for sharing, and so we must remember to share in nature’s gift.